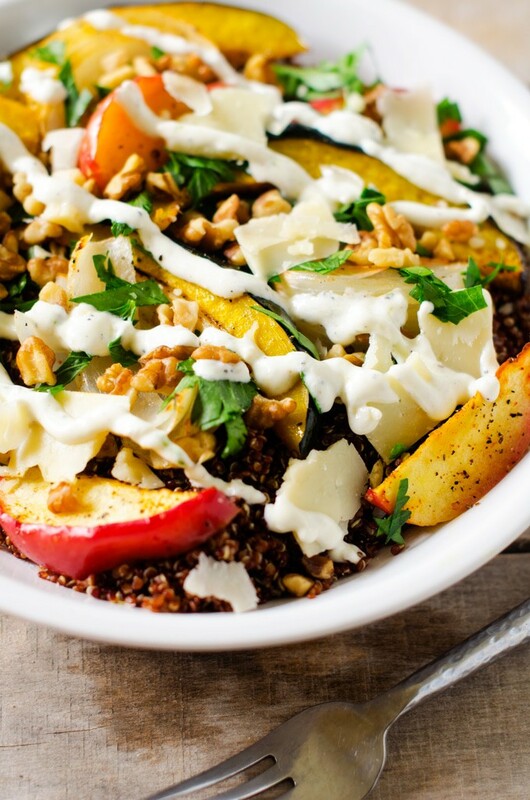 This healthy Roasted Fruit and Vegetable Quinoa Salad is packed with flavor! 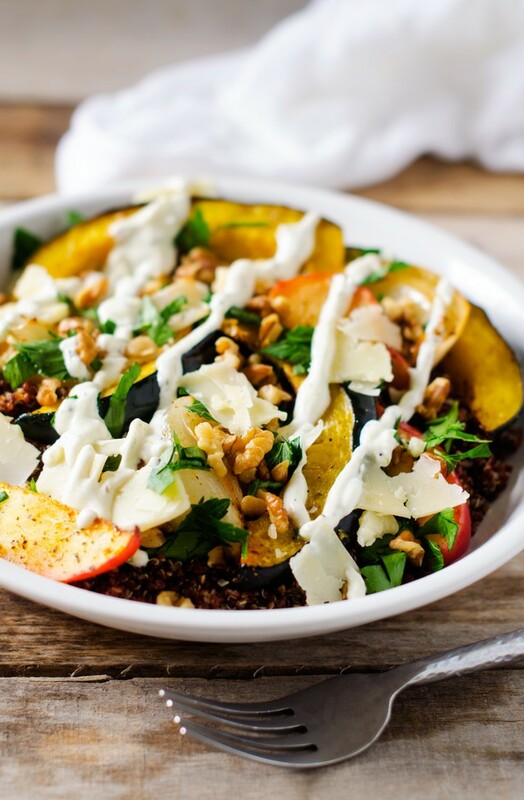 Squash, onion, apples,quinoa and walnuts and topped with a garlic lime drizzle! It isn’t often that I have time to myself, but this morning I got up early. It was nice to feel the stillness of the house and to enjoy the quiet. As I sipped my coffee, I suddenly became overwhelmed with gratitude. I am someone with a lot of “constructive discontent”. Gratitude is something I have been actively working on. Being overwhelmed by it naturally is such a blessing. I have so many things to be grateful for. An amazing family. The ability to be where we want. And you guys. This morning, I realized just how lucky I am to be doing work I love. It isn’t that I didn’t love Cooking Quinoa in its way. It is more that there was so much more inside me and after time I felt stifled that every single recipe had to have quinoa in it. It was a risk to re-brand and branch out. I was told by several people not to do it. Yet here you are. I still have readers and I’m growing. One of the unexpected side effects of sharing more than just quinoa recipes is that my love for quinoa has been renewed. 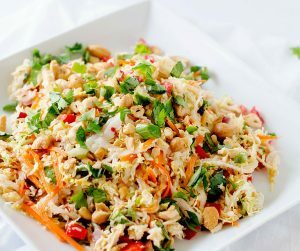 Today I’ve got a great salad, that is a little bit different. 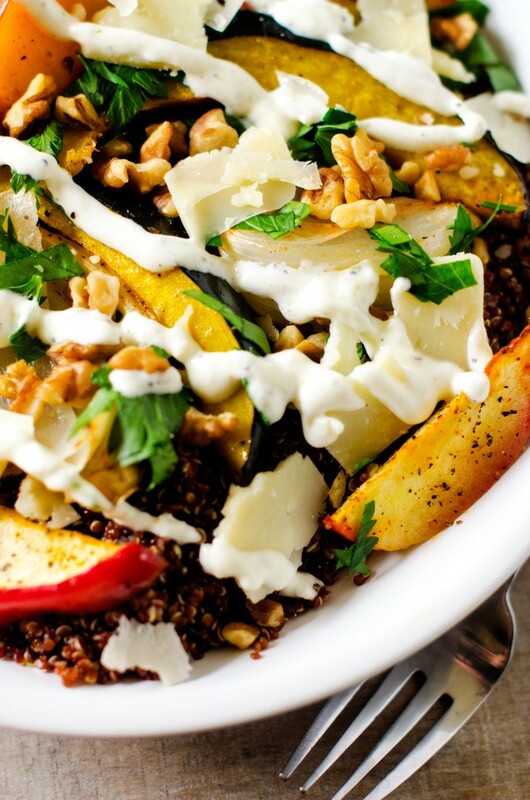 I love the roasted veggies, but the apples are just out of this world. (Pears would be nice too.) If the lime drizzle isn’t your thing, feel free to substitute whatever dressing you have on hand. Toss squash, apple and red onion with avocado oil, salt, pepper and chipotle chili powder. Spread on a large rimmed baking sheet lined with parchment paper. 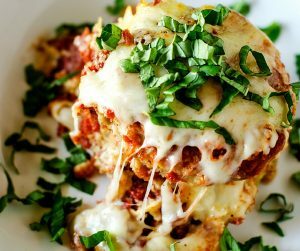 Bake for 25 to 30 minutes, until tender. 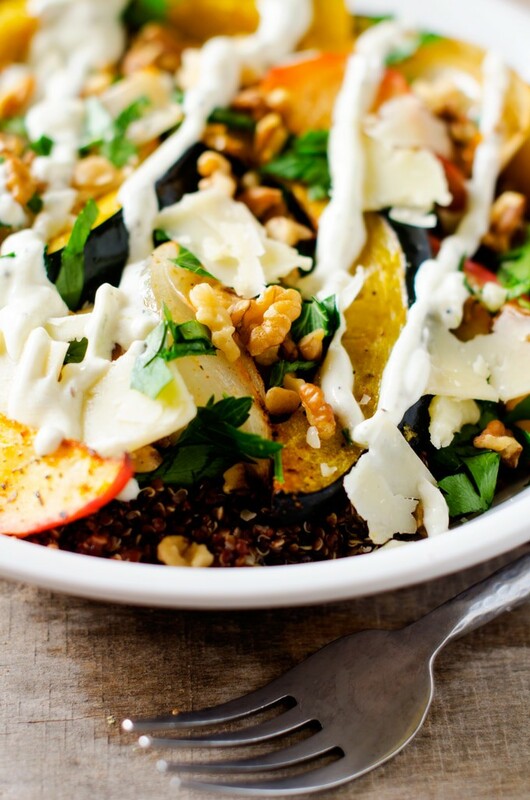 Toss quinoa with walnuts and lime juice. 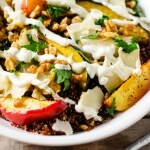 Top with roasted fruit and vegetables and parmesan and drizzle with dressing. You are so sweet Janet. Thank you.